DroidSSTV lets you transmit and receive amateur radio (ham radio) slow scan TV (SSTV) on your Android Smartphone or Android tablet. 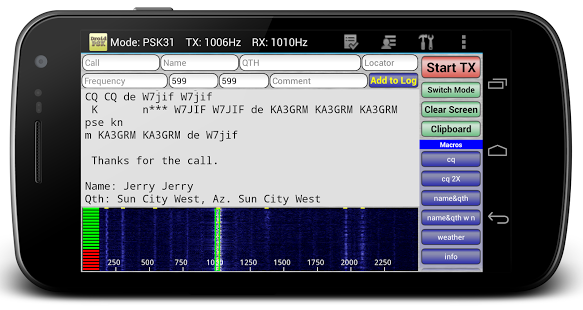 This communications app is a great tool for portable amateur radio SSTV operation. Just connect your Android phone or tablet to an HF radio (or even set it next to the radio’s speaker), tune on to an SSTV frequency, and watch the pictures scroll onto the screen. DroidSSTV supports the modes Scottie 1, Scottie 2, Scottie DX, Martin 1, and Martin 2 at this time. 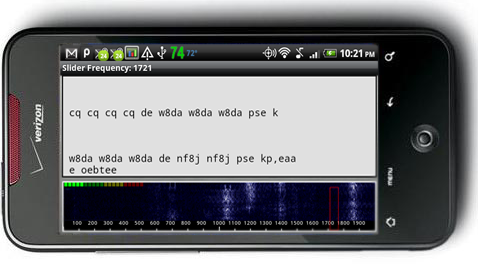 DroidPSK is an application to decode and encode Ham Radio BPSK31 and BPSK63. A great tool for portable Amateur Radio PSK operation. DroidPSK is able to decode a BPSK31 or BPSK63 signal though the build in microphone. Just hold your Android phone or tablet close to the speaker of you Amateur Radio transceiver, adjust the waterfall slider to the PSK carrier frequencies and DroidPSK will start decoding. In transmitting mode characters can be entered trough the keyboard. 20 Macros are also available to store standard texts like "name and qth" and "station info"
A tool designed by a Ham (KD7UIY), used to figure out your QTH, in Amateur Radio speak. Specifically geared towards the Mobile radio operator. This comes out of the need to figure out which county a person is in during many state QSO parties. Includes a simple log, and can now be able to even work without the internet at all! Free version includes ads, but requires an internet connection. Our Ham Radio application is a Glossary of Amateur radio terms and acronyms. looking to get into being a “Ham Radio” operator or listener. Amateur Radio Call Log is a basic ham radio logging app for Android 1.5 and above. * Added context menus for Frequency and Mode fields. Long-press to bring up. Learn or improve Morse code with Morse Trainer. 3 letters and Morse Trainer will create groups of 5 with those 3 letters. in Contests over the last couple of years. - QSO text mode: Morse Trainer will play randomly play QSO text. 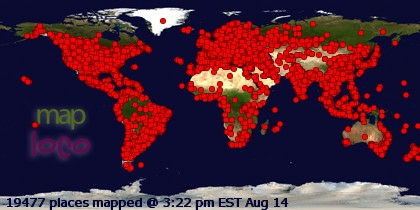 The database consists of 300 different qso texts. play randomly the 500 most used English words. Trainer will play it over and over again. CW speed away from your amateur radio station or your PC. code from a Radio or any other device. Morse Decoder includes a "waterfall"
malfunction or include your phone model in a list of “not working” devices. Widget to show current activity in the HF bands, solar image, solar flux, sunspot number. provides access to the EchoLink network from your Android device. anywhere, using either a WiFi or cellular (3G) connection. Finds EchoLink nodes near a given location and shows them on a map. No ads. current location, or enter an address. A great app for Ham Radio over EchoLink. node’s frequency and tone, and whether the node is idle or not. the DX Cluster will alarm you. Multiple callsign or prefix entries are possible. a ham radio callsign to log into the DX cluster! Easily find Amateur (Ham) Radio Repeaters across the UK. • Complete database of UK Analog, IRLP, Echolink and D-Star repeaters. • Use network, GPS or a Locator to find Repeaters across the UK. • Displays your locator and selection distance. • Comprehensive selection, sorting and display options. • Fast and flexible, designed to help Amateur (Ham) radio operators use the UK Repeater network.